Rugged polyurethane wheels provide smooth operation and are non-marring, to ensure that floors stay unmarked. A heavy-duty steel fork is generously sized, while the zero-radius pivoting handle offers exceptional maneuverability in tight spots. Included with the PTS is Adam's rechargeable battery-powered AE 402 indicator, which offers a wide range of features and functions for prompt, reliable results. 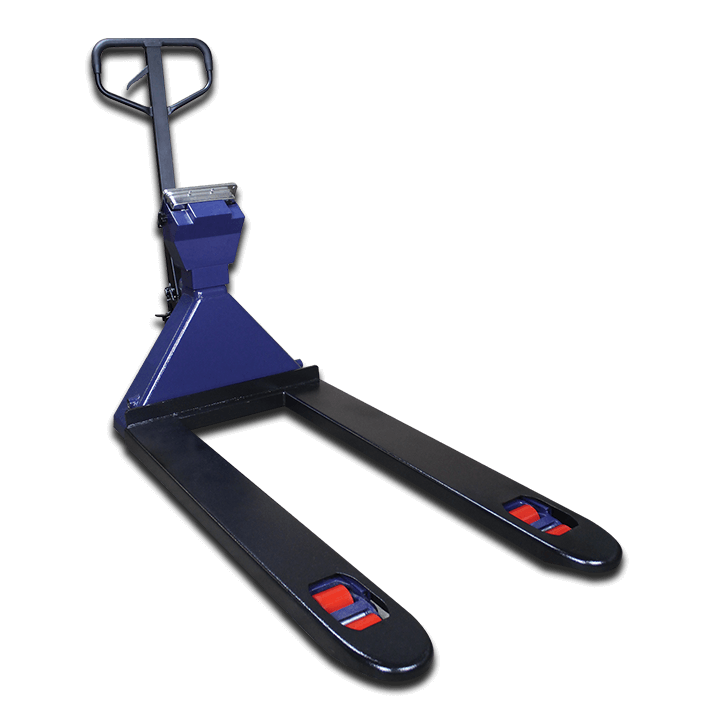 The PTS offers an easy way to manage, move and weigh heavy loads. Heavy-duty reinforced steel pallet forks are generously sized and provide durable lifting capabilities.